Desktop stand helps keep you organized by keeping important day-to-day documents at your fingertips. Ideal for displaying memos, price sheets, calendars, phone lists and so much more. Design features 12 two-sided nonglare sleeves that display up to 24 letter-size or A4-size sheets. 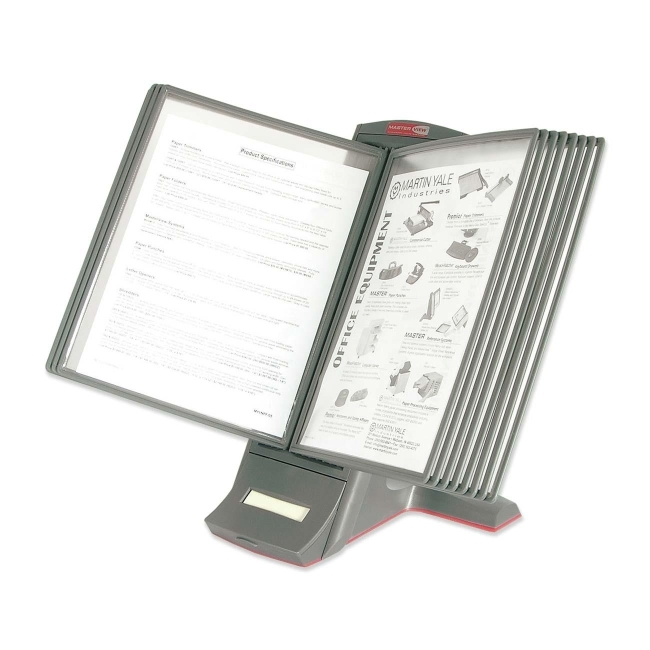 Base of the stand offers a convenient note dispenser with included sticky note sampler. Desktop stand also includes index tabs. Replacement sleeves are sold separately.